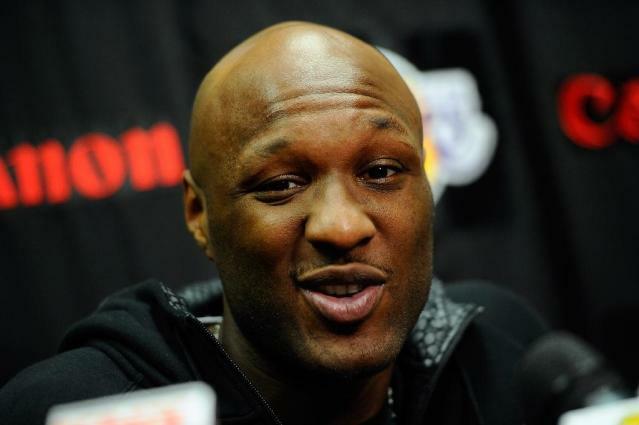 Los Angeles (AFP) - Basketball star Lamar Odom has taken a few steps and is making "miraculous" progress after being found unconscious and fighting for his life in a Nevada brothel last week, his family said Tuesday. Odom, 35, was on Monday moved from the Sunrise Hospital in Las Vegas to a medical facility closer to his home in Los Angeles after his condition improved steadily over the weekend. A statement released on behalf of the former Los Angeles Lakers star's aunt JaNean Mercer and the Odom family on Tuesday expressed delight at the two-time NBA finals champion's journey to recovery. "He continues to make miraculous progress, taking a few steps in Los Angeles," the statement said. "We couldn't be more overjoyed! Lamar's continued improvement we realize will not be easy, however his unrelenting strength and faith in GOD will pull him through." Odom was hospitalized and placed on a life-supporting ventilator last Tuesday, when he was discovered unconscious at the famed Love Ranch brothel outside Las Vegas after reportedly consuming a cocktail of drugs and alcohol during a four-day binge. His estranged wife, reality television star Khloe Kardashian, raced to his bedside with members of her family. Kardashian issued her first statement on Tuesday since Odom was hospitalized, praising workers who had nursed her husband back to consciousness. "The past week has been incredibly difficult," Kardashian wrote. "I also want to take a moment to thank everyone at Sunrise Hospital, including the amazing doctors and nurses for their kindness and diligent work. "Under their amazing care, incredible strides have been made... Thank you for your continued support. God is great!!!"